Make an Offer - Last One! 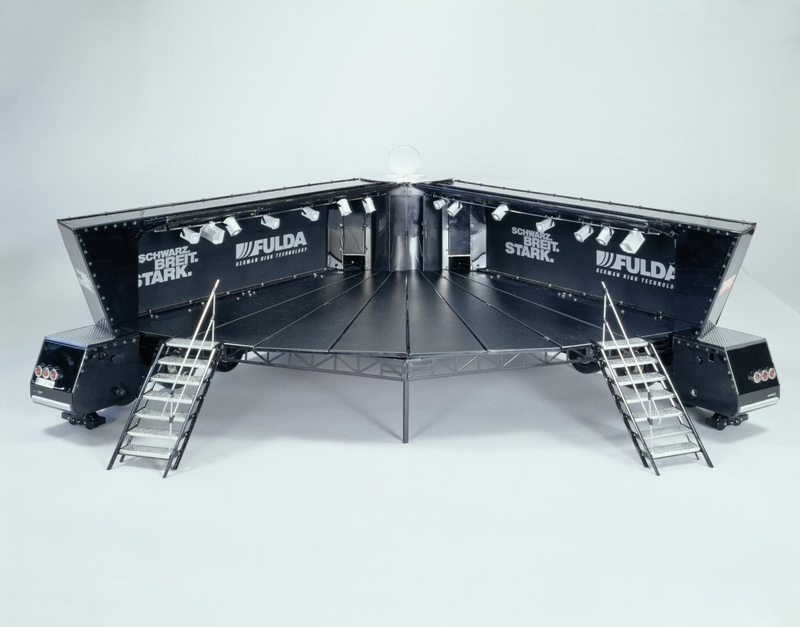 The prestigious FULDA Show Truck drives to all manner of public events and race meetings and on arrival the trailer opens-out to form a working stage complete with its own lighting and sound system for guest singers and bands to use when entertaining the crowds. 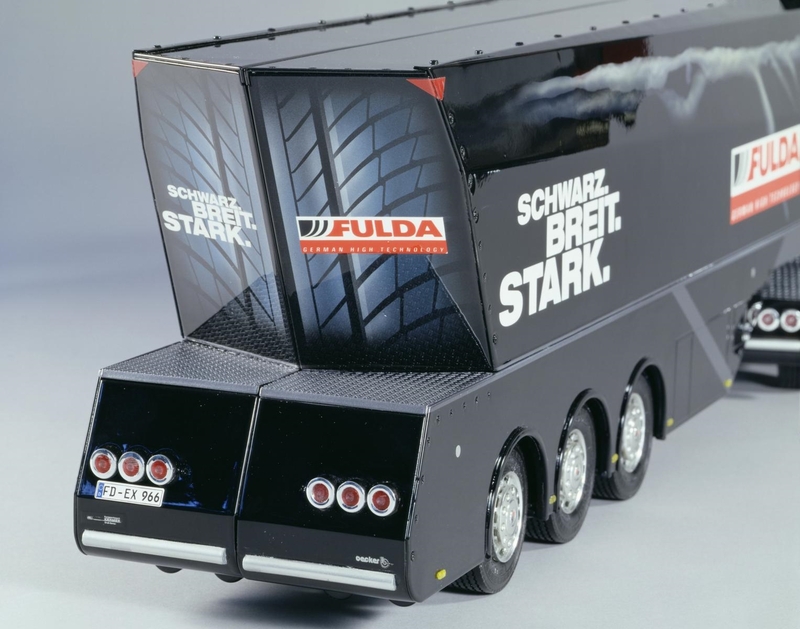 This impressive truck and trailer was custom made for FULDA with no expense spared...and it shows! 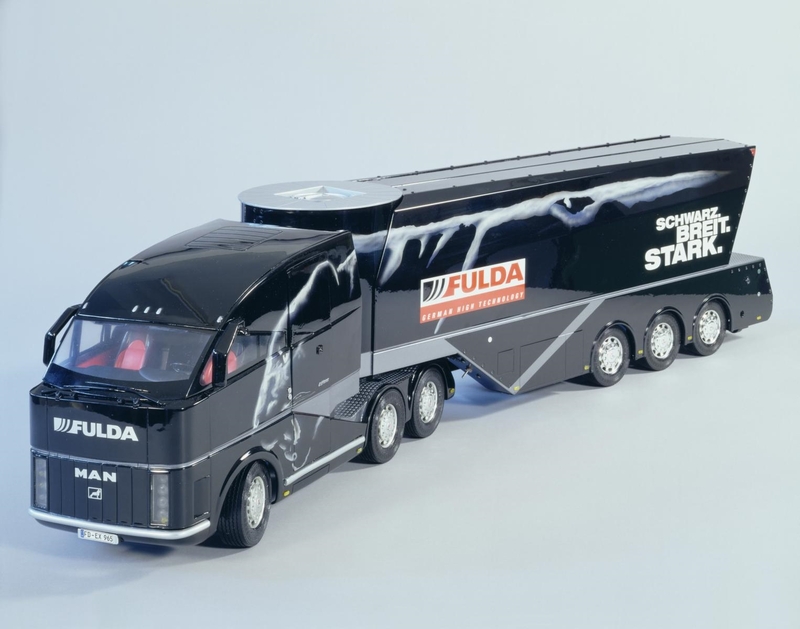 Rumour has it that this unique tractor unit does sometimes pull a more normal black painted trailer with the same FULDA logo when making special deliveries of tyres for high profile events such as the launch of a new car or to a motor show. It really is a celebrity in its own right with it's unmistakable technicality and design. 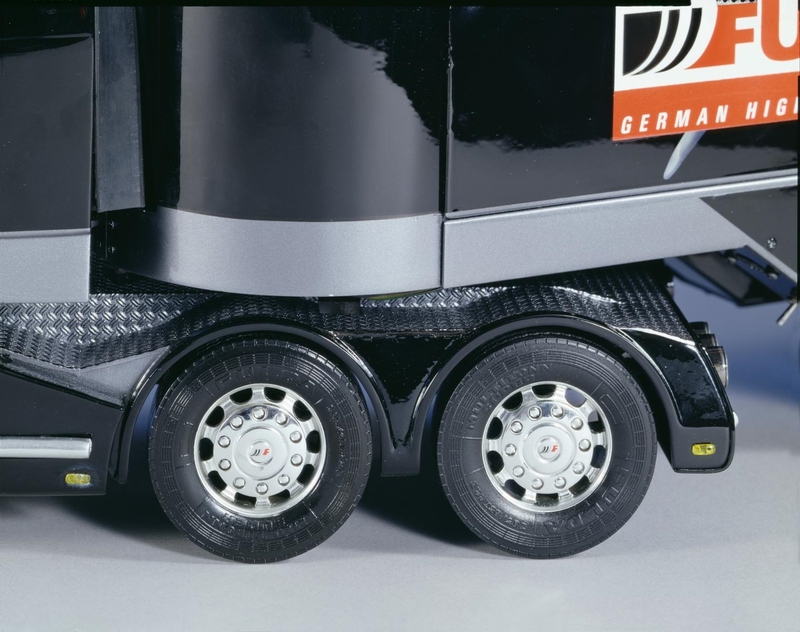 The FULDA tyre company commissioned Wedico to build a unique 1/16 scale model of their very impressive and unique show truck for their own use and when these truck models were completed by Wedico back in 2002, the moulds were promptly destroyed. As a result, this is probably the single rarest model ever made by Wedico, with less than 20 ever made. Understandably this has become one of the most sought after collector's models in the world. 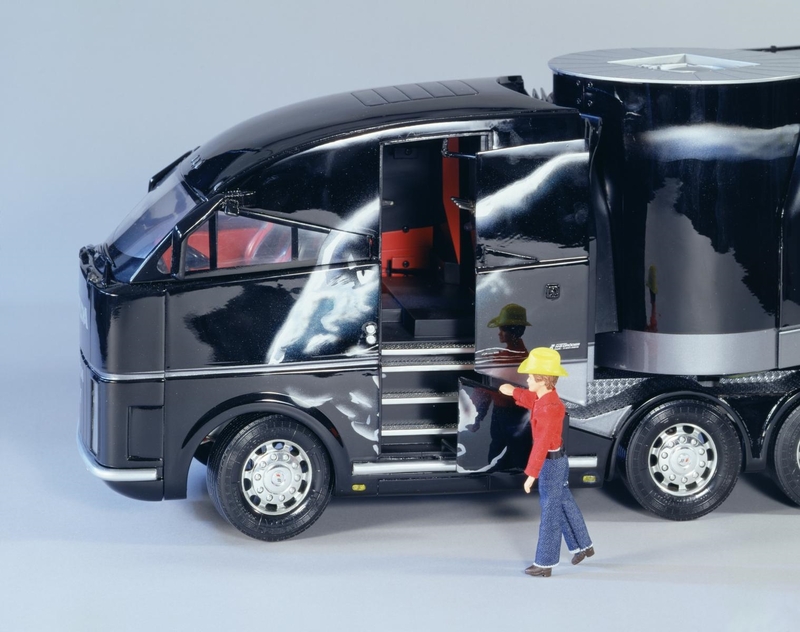 These models were made to be displayed as static models, but this version has all running gear and electronics installed so is being sold completely RTR. 6667 points will be rewarded to you when you buy this item.